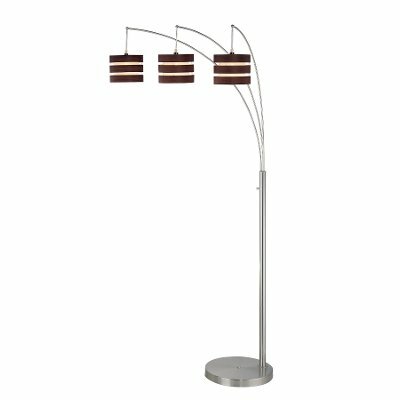 Light up your seating area with this Polished Steel floor lamp. Featuring 3-arms with slotted Walnut wooden shades. This lamp is a confident choice for a contemporary or transitional approach to home decor.